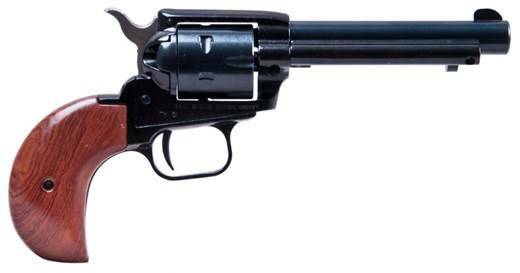 Single action. Maintains Traditional western feel and balance. Machined micro-threaded barrel. Frame mounted hammer block with red indicator. Aluminum alloy frame. Open fixed type sights, notch at rear and bladed front.